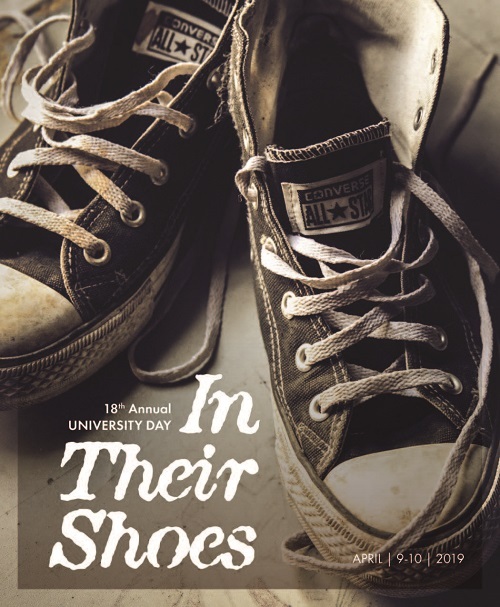 In Their Shoes is the theme of the University of Maine at Presque Isle’s 18th annual University Day, taking place on Wednesday, April 10, and students will be showcasing that theme in presentations on everything from student work with the Hope and Justice Project to the Underground Railroad in Maine to using floor worker feedback for changing recordkeeping procedures. University Day officially kicks off on Tuesday, April 9 in the Campus Center, with a poster session from 5-6:30 p.m., followed by a Distinguished Lecturer Series presentation by Stephen Ritz—an urban farmer, award-winning educator, and the founder of Green Bronx Machine—at 7 p.m. The poster session will feature more than 20 posters on research done by students in environmental science, geology, biology, ecology, genetics, geographic information systems, social work, and psychology. Students will be present to discuss their posters and answer questions. Beverages and dessert will be served. Immediately following the poster session, Ritz will serve as the next speaker in UMPI’s 2018-2019 Distinguished Lecturer Series, delivering the University Day keynote address. Ritz is a South Bronx educator and innovator who believes that students shouldn’t have to leave their community to live, learn, and earn in a better one. Through his work with Green Bronx Machine, which uses vertical farming methods to grow food as part of the school curriculum, Ritz has been able to move generations of students into spheres of personal and academic excellence as they’ve grown more than 65,000 pounds of vegetables in an effort to reclaim and rebuild the Bronx. His work has been featured everywhere from the New York Times to The Today Show and his TEDx talk has received more than 1 million views. During his talk, titled The Power of a Plant: A Teacher’s Odyssey to Grow Healthy Minds and Schools, Ritz will discuss how he and his students farmed their way from the poorest congressional district in the country all the way to the White House and beyond. His talk is free and open to the public. To add to the community spirit of University Day, UMPI is welcoming the public for the Tuesday evening activities and the entire day-long event Wednesday. The University Day committee has invited students from local high schools, and community members are welcome to attend all sessions and the free lunch. A schedule of University Day activities can be found at www.umpi.edu/uday. 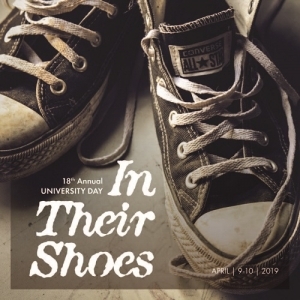 For more information about University Day 2019, please call 207-768-9452 or email umpi@maine.edu.